Did you know that 85% of successful marketers deliver content on a regular basis? As you may know, one of my biggest business passions and revenue drivers is delivering keynote seminars at events and tradeshows across the world. I have various partnerships with industry-specific events, and one in particular created a podcast out of one of my keynote seminars. International Jewellery London and I have had a very close relationship for a number of years, and since the beginning of this year, I have been their chief Social Media editor content contributor and keynote speaker. 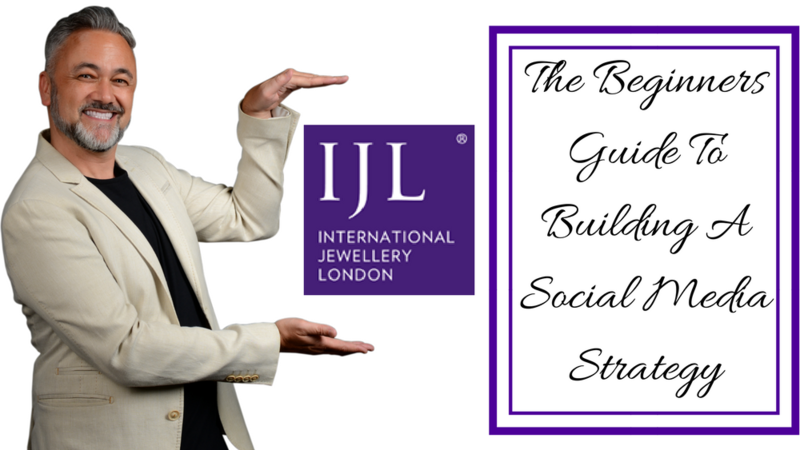 IJL talks, an inspirational and educational podcast bringing you industry insights as well as tips and tricks on all things marketing and trends uploaded my talk in audio form to audioBoom. I have found that start-ups and small jewellery brands and retailers are often so focused on getting their product and brand prepared for sales that they neglect the unfamiliar, yet vital, area of social media and therefore lose a massive opportunity to build brand awareness. The podcast is a 90-minute step-by-step workshop designed to help you set up, and establish a digital presence. I always love talking at International Jewellery London, and I always have people reach out to me on Twitter to say that they were not able to make the talk. With this podcast, you can catch up on all of the important information around building a Social Media strategy for your business!